Students will learn basic parquetry (geometric marquetry) techniques while cutting designs for either coasters, key fobs or a pen box. Designs covered include checkerboard and closed basket-weave. 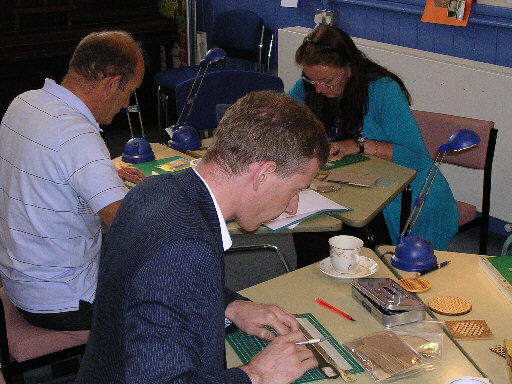 Finishing and polishing will be discussed, but it may be necessary for the items to be completed after the course - either by the student or tutor. 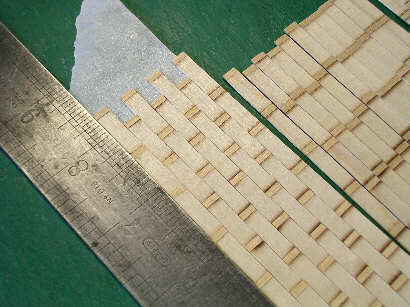 The photos show students cutting veneer strips ready to make up a pre-assembly and an example of a closed basket-weave design on a pen box. 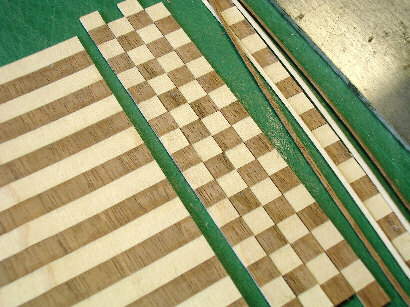 Below, assembling closed basketweave and checkerboard designs from pre-assemblies.